Schaeffler's compact measuring device FAG SmartCheck has been a great success since its launch at the beginning of 2011. 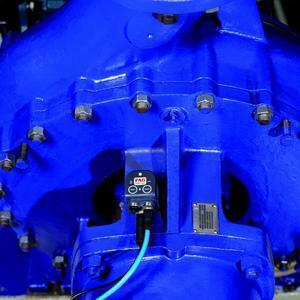 Users in different sectors have been convinced by this device, which is an uncomplicated and cost-effective solution for monitoring small machines or machinery that is less critical should it fail. The FAG SmartCheck has met the requirements for use in different customer units, for example, vibrating screens, electric motors, decanters, pumps or compressors . It provides customers with both reliable information to ensure availability and a comprehensive data basis about the behavior of their machines in the field. Since vibrating screens are often positioned at the start of long production processes, unplanned downtimes and associated production stoppages result in considerable costs. 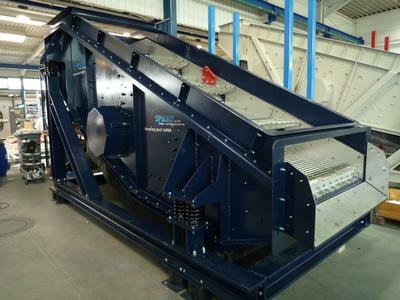 Spaleck GmbH & Co. KG looked for a reliable online monitoring system to increase the availability of its own vibrating screens and thus the machine availability of its customers. The FAG SmartCheck has proven itself and made a totally convincing case under the rough conditions, which exist in the field of vibrating screens. This intelligent measuring system has been used to detect the most important vibrating screen conditions and ensure machine availability. The special challenge is to filter out the right information for diagnosing damage because vibrating screens generate a high level of vibration. This capability is only available on a very few systems, which are usually significantly more expensive. However, the FAG SmartCheck not only offers precise and reliable monitoring, but also simple initial operation and operation. For example, these features allow more than 20 parameter templates, which come as standard on this measuring device and have ensured problem-free operation at Spaleck. Bearing defects in electric motors can also be determined at an early stage by detecting increased vibration and noise levels. Schorch Elektrische Maschinen und Antriebe GmbH looked for a reliable and cost-effective method to monitor their units both with regard to bearing damage and to record additional parameters such as temperature, load and speed. This comprehensive data basis was to provide continuous information about the overall condition of machinery including machines which are difficult to access or are in remote locations. 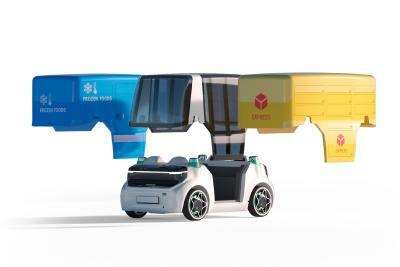 In addition, there had to be access to history data in order to provide more information about the long-term condition of machines in the field. For this purpose, Schorch installed the FAG SmartCheck on the drive motor of a piston compressor. Further parameters such as room temperature and motor housing temperature were recorded and correlated with the vibration signals to enable intelligent process monitoring. However, the customer's main priority were the vibration measurement results, which gave an early indication of rolling bearing damage. The FAG SmartCheck also proved to be an attractive solution for other applications and reliably performed the monitoring tasks it had been set. For example, it was used on a decanter machine for precisely detecting whether imbalance was caused by the worm or the drum. Reliable identification of the cause of vibrations is extremely important for carrying out maintenance because different maintenance procedures are required depending on the source of the imbalance. Other monitoring systems are often incapable of reliably identifying this so-called "floating imbalance" between the worm and the drum. The FAG SmartCheck was able to reliably identify imbalances, incorrect alignment and bearing wear during measurements on vacuum pumps. These critical operating conditions can lead to the stoppage of a complete production line depending on the application and thus result in high failure costs. Due to its high level of flexibility, the FAG SmartCheck is an attractive solution for units, which are installed at remote locations, for example, pumps for flood control or at reservoirs. The recorded data can easily be read remotely by means of remote monitoring. Operators are permanently informed about the condition of their machinery without having to be on-site and can take immediate countermeasures in an alarm situation. The FAG SmartCheck has also been used very successfully for the diagnosis of compressors. These units are sometimes subjected to heavy loads and considerable vibrations, which means unplanned downtimes can occur in a very short period of time. It has been possible to reduce this risk and ensure comprehensive monitoring with the FAG SmartCheck. For example, bearing damage was detected at such an early stage with the FAG SmartCheck that contact between the screws was prevented. This meant maintenance measures could be carried out more cost effectively. The FAG SmartCheck can easily be retrofitted to existing compressors because fitting requires no mechanical modifications. 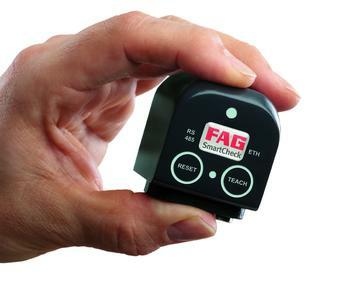 The FAG SmartCheck is a new, innovative measuring system for real-time monitoring with patented diagnosis technology. By using the FAG SmartCheck it is possible to cost effectively monitor smaller units for the first time due to low purchase costs. This compact measuring device can be installed very quickly, is easy to operate and makes a significant contribution to optimizing processes and reducing life cycle costs due to its forward-looking features. In addition to the FAG SmartCheck, Schaeffler also offers a unique and comprehensive range of services - from consultations, initial operation, remote monitoring service and maintenance contracts, right up to standard and individual training courses. This range of services is also much wider than the normal standard range and always takes plant safety und process reliability into consideration. 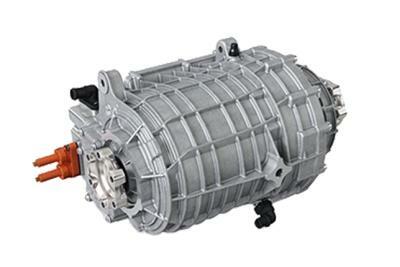 Schaeffler Industrial Aftermarket (IAM) is responsible for the replacement parts and service business for end customers and sales partners in all major industrial sectors. 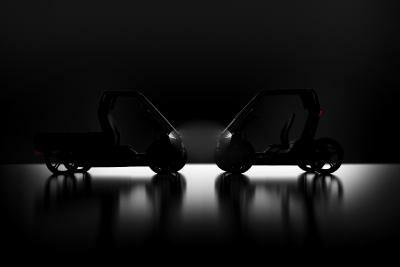 IAM reduces maintenance and operating costs, increases machine availability, and thus boosts its customers' business success through comprehensive, innovative solutions, products, and services for rolling and plain bearings, as well as by consistently applying the total cost of ownership philosophy (TCO). Schaeffler AG has approximately 74,000 employees at over 180 locations worldwide, generates group sales of around 10.7 billion euros (FY 2011), and ranks among the world's leading rolling bearing manufacturers and suppliers to the automotive industry. Meilenstein für autonomes Fahren: Schaeffler zeigt "Space Drive"